The past couple of years the boys have spent a few mornings during the summer at Kids Gig. Kids Gig is our church's version of bible school. The first year we participated we did the evening session and I was able to volunteer but the last two summers I have been traveling so the boys went to the morning session. It's a little longer than the evening session but I figured any more time learning about Jesus' LOVE for us is time well spent. Cousin Colton was staying the week with the boys and Emily so he got to join in on the fun too. & on day two he shows up and announces that it is Crazy Hair day at Kids Gig. I didn't get that memo but that wasn't surprising so when I asked the kids they immediately confirmed it and we had some work to do. 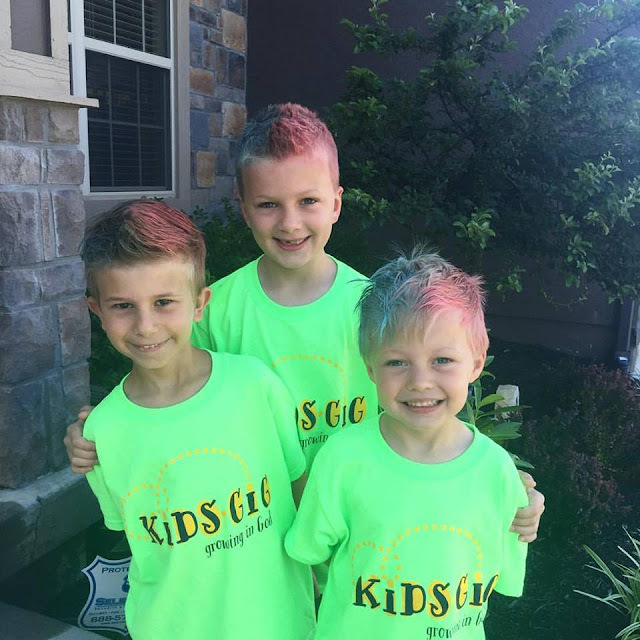 Colton's hair was already spiky but they all wanted to add some fun color to it so I hunted down some chalk. Blue and Red and for Logan, a little Red, White and Blue! They had crazy sock day, wear your team color day and at the end a big bash---that we had to miss because Kaden spiked a fever. 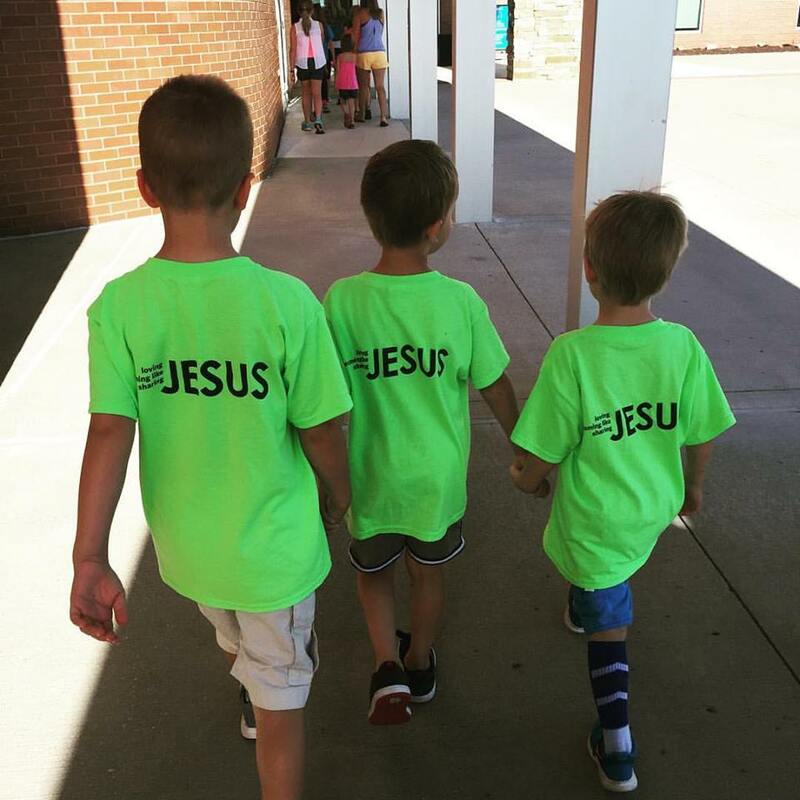 They made new friends and learned to "Walk This Way" with Jesus & how He is always with them. "When you walk, nothing will slow you down. When you run, you won’t trip and fall. Hold on to my teaching and don’t let it go. Guard it well, because it is your life." 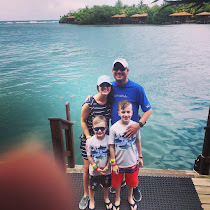 They have learned so much about loving Jesus, being like Jesus and sharing Jesus because of Westside Family Church and we are beyond blessed to be part of such a wonderful church family.